What to do if your cat gets sick. Tip: Keep first aid info close by. Send me your name and best email address below so I can send you my monthly newsletter, The Kitty Times, along with occasional notices about cats, this web site, or urgent advocacy information. There is nothing more upsetting than to find your cat is sick and you can't figure out what to do. And Murphy's Law seems to dictate that these things happen in the middle of the night or on long holiday weekends and your veterinarian is out of town. This section will help cat owners to assess the situation, but cannot be considered a substitute for veterinary diagnosis and care. Our best hope is that some of the information here will help until you can get in for proper care as soon as possible. Unfortunately, we know from experience that midnight emergencies too often result in next day funerals. 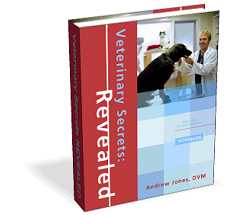 Veterinary Secrets Revealed is the bible for solving your pet health problems with natural, at home remedies. 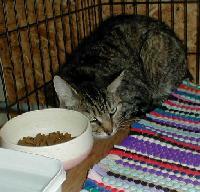 Dr. Jones shows you how to care for your pet at home, slash your veterinary bills, and often SAVE your pet's life! In the pages of this excellent ebook, Dr. Jones also offers over 1,000 safe, natural and effective solutions for healing your pet at home. Be sure to visit the article page for information on specific conditions: Look through the articles list.